Ball games and hot dogs go together like cookies and milk, a truly American pairing with a rich and interesting history. Whether you call them hot dogs, red hots, wieners, franks or frankfurters, you obviously appreciate the genius of sausage served in a bun. Sports cartoonist T. A. "Tad" Dorgan, who caricatured German figures as dachshunds in the early 1900s, generally earns credit for popularizing the term hot dog because he could not spell dachshund. His talking sausage cartoons denigrated the cheap wieners sold at Coney Island, crassly suggesting they contained dog meat. It was such bad publicity that in 1913, the Chamber of Commerce banned the use of "hot dog" from signs on Coney Island, though the term had earned entry into the Oxford English Dictionary in 1900. Disregarding the fact that no copy of said cartoon can be found, the name hot dog was already in use by the start of the 20th century and may more simply reflect German immigrants' preference for the dachshund, which they brought to America along with their frankfurters and Vienna sausages, called wienerwurst in German. Credit for putting the hot dog into a warm bun and topping it with various often goes to Harry Magely, catering director of New York City's Polo Grounds, who reportedly instructed his vendors to cry out, "Red Hots! Get your red hots!" Another story credits Coney Island vendor Charles Feltman with selling the first hot dogs in buns there in 1867; Coney Island remains famous as a hot dog destination and host of the yearly Nathan's Famous International Hot Dog Eating Contest, which celebrated its 100th year in 2016, fittingly on the 4th of July. 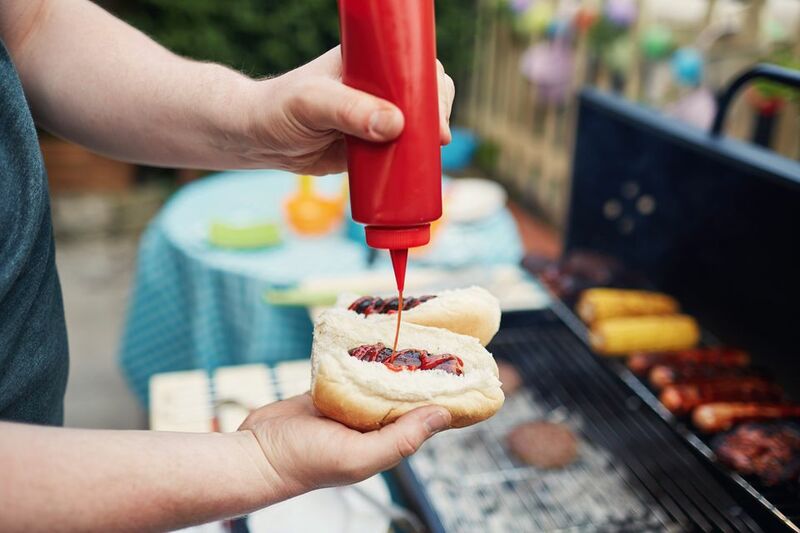 When hot dogs got their start by the late 1920s, wienie roasts were the rage in backyards all over America with guests bringing their own hot dogs to cook over an open fire. President Franklin Delano Roosevelt even served hot dogs to England's King George VI during a state picnic in Hyde Park in 1939. Corn dogs were introduced in 1942 at the Texas State Fair, the brainchild of Texan Neil Fletcher.